EM waves propagate normal to the wavefront surface, and vice-versa. 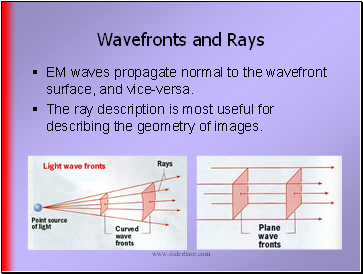 The ray description is most useful for describing the geometry of images. Most metals are excellent conductors. 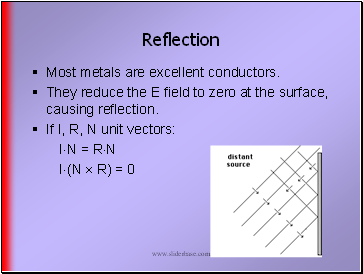 They reduce the E field to zero at the surface, causing reflection. 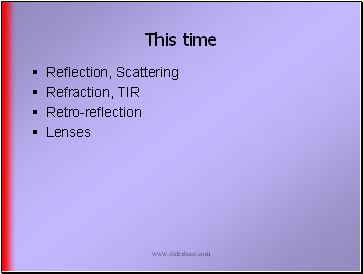 By tracing rays back from the viewer, we can estimate what a reflected object would look like. 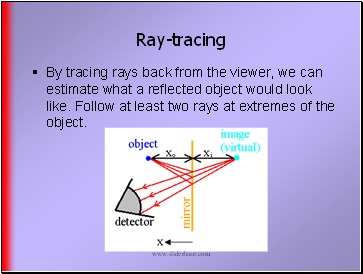 Follow at least two rays at extremes of the object. 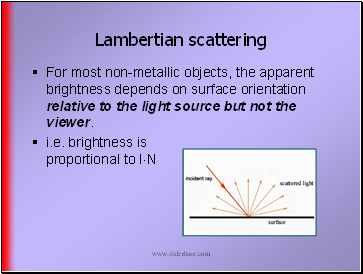 For most non-metallic objects, the apparent brightness depends on surface orientation relative to the light source but not the viewer. 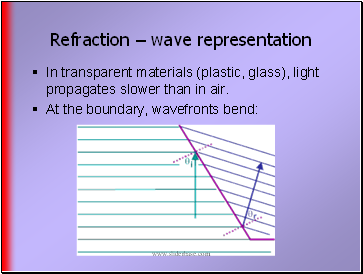 In transparent materials (plastic, glass), light propagates slower than in air. 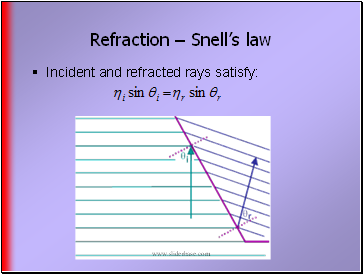 Refractive index measures how fast light propagates through a medium. Such media must be poor conductors and are usually called dielectric media. 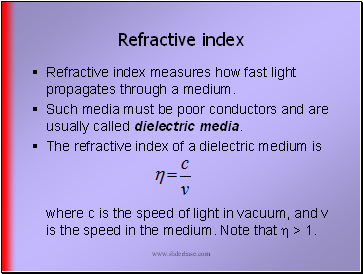 The refractive index of a dielectric medium is where c is the speed of light in vacuum, and v is the speed in the medium. Note that  > 1. 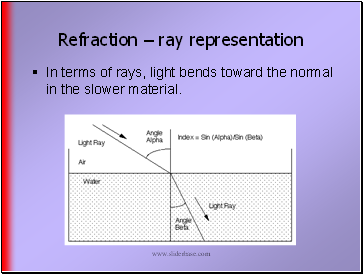 In terms of rays, light bends toward the normal in the slower material. 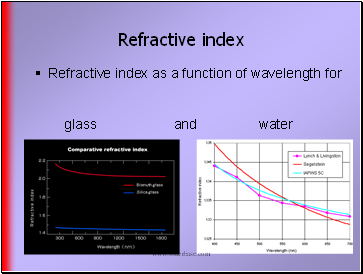 For most media, refractive index varies with wavelength. 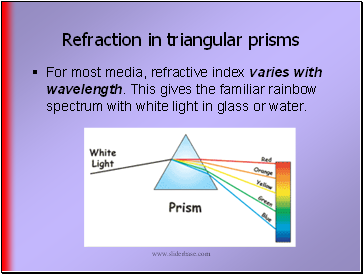 This gives the familiar rainbow spectrum with white light in glass or water.